Of all the idyllic areas on the globe, the Mediterranean Sea is well known for its beauty, its people and its gastronomy. Its forever flowing panorama, made up of crystal clear waters and beaches, authentic historical towns, impressive mountains and the cosmopolitan atmosphere of the capital make Mallorca a privileged corner of this enclave in the south of Europe. 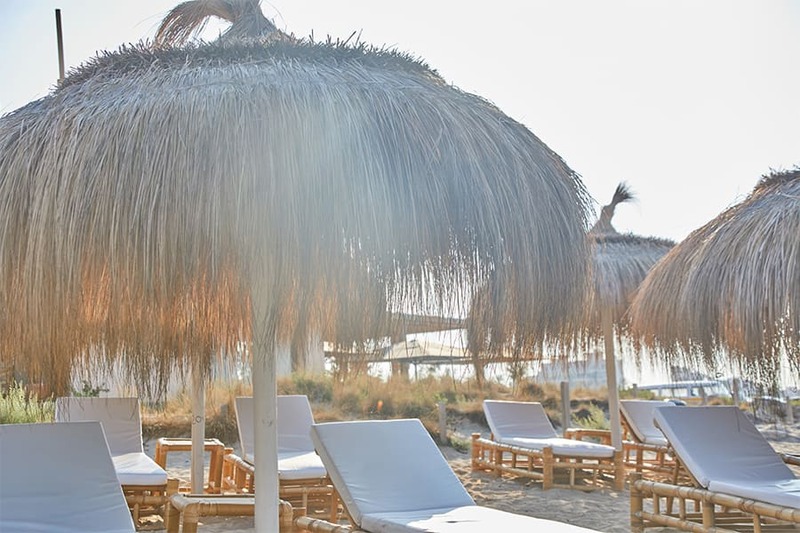 There are many ways to discover this island, but at Assaona, beach club in Portixol, we’ve got the answer: that it must be done with our five senses. Would you like to find out everything that our establishment and its surroundings have to offer? We will be telling you all about it in this article. Our philosophy has always been infallible. We want to, just like how we do with our dishes, season your experience so that everything be in perfect harmony. We have stayed true to our roots which have watched us grow and adapted the expression asaonar (to season) as a metaphor to represent everything that we do at our beach club in Portixol. We want to provide every tiny detail that ensures that your time at our establishment be an unforgettable memory. And we couldn’t have found a more perfect location for us to offer this concept: el Portixol, an authentic and historical fishing village that has captured the true Mallorca and merged it with today’s modernity. Its seafront promenade comes to an end at our restaurant in Portixol, from which you can set your gaze upon the distinctive blue water of the Mediterranean, as well as the impressive Palma Cathedral and witness as the city fades in to the coastline. One of the senses that is extremely important at our beach club in Portixol, is taste, Assaona offers the best contemporary gastronomy with picturesque traditional touches and the best local produce. The sea, the breeze and the warming sun adorn a symbiosis of products originating from the local markets and local lands along with ingredients which have been meticulously selected by our team to create simple, fresh and elaborate recipes. During any time of day, in any season, you can enjoy the high class gastronomic experience of our location. Eclecticism and suitability form part of the basis of your stay at our Beach Club in Portixol. Our establishment has distinct areas to suit everyone’s tastes and preferences. From an intimate and tranquil restaurant area, to two exterior terraces with sea views. The icing on the cake is our hammock and parasol area which will maximise your experience during hotter days. We adapt to you and the weather: we have Balinese beds for summer and a toasty chimney for winter. All brought together with the best food, select wines and the most refreshing cocktails. We add that special something to every aspect of your visit. We are waiting for you. We want all of your senses to harmonise in order to create unforgettable and one of a kind moments. 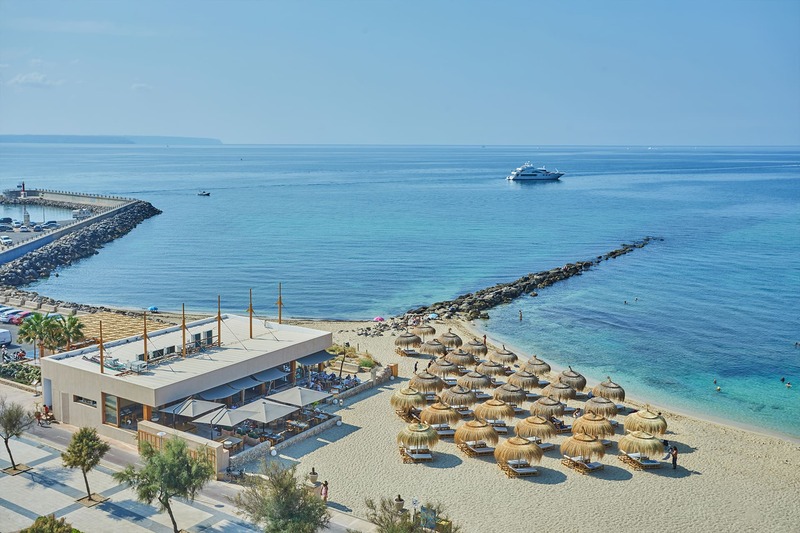 We want to seduce you with our views and reach your heart through your stomach, so don’t hesitate any longer, reserve your table at our beach club in Palma de Mallorca and we will take care of the rest. Are you ready for an experience for all the senses?